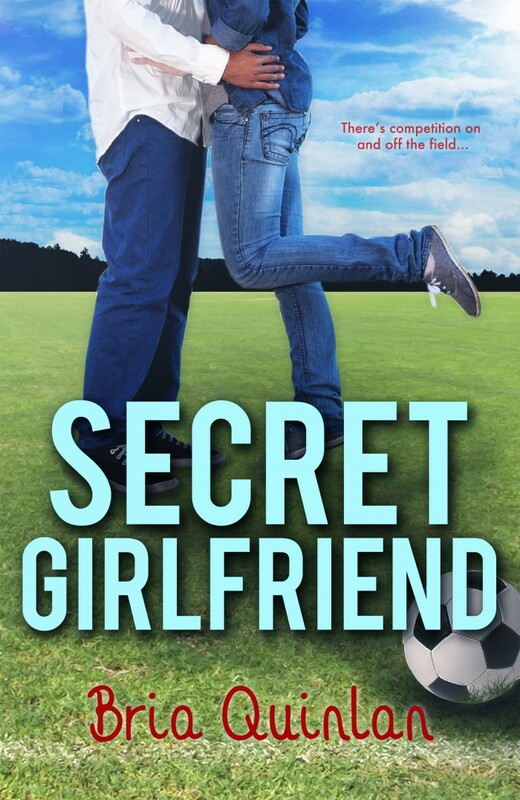 Secret Girlfriend was my first contemporary book. It started as a lark to take a break from my fantasy series and quickly turned into something else. Soon it turned into a book about why a girl (or a grown woman for that matter) might let someone call all the shots. When we meet Amy, she’s the secret girlfriend of her long-time crush, Chris Kent. Not only is Chris gorgeous, popular, and the hot-soccer-god guy — he’s also the one person who was nice to her at a desperate moment when she was younger. All that builds this fantasy around him. At the same time, Amy is coming from a place of absolute powerlessness. Not because anyone has stolen her power, or kept her down — but because she has drifted down….down….down slowly herself until she was somewhere that left her feeling helpless, hopeless, lost and invisible. Basically, I wondered – what if someone who was way down there also lost all her support people as something else happened. How would she get out? And, just before I’d started to write this (while I was still chugging away at the fantasy) I’d read several books about a girl who was supposedly “weak” and had to get strong to overcome something. Only, all of these girls were already strong, already had amazing friends and families to support them, already knew what they wanted. And you know what — it ticked me off. So often strength is earned through a struggle, through over-coming something. And all these books showing girls magically just being strong takes away from those who have fought tooth and nail to find their strength, their center, their path and what’s right for them. Then, to complicate things, Luke Parker stepped on the page. Darn that Luke Parker. I have no idea where he came from. I was only a few pages in, wondering how Amy was going to deal with Chris and their mess of a relationship…and BAM! Hot soccer guy #2. Mix this all up with someone who isn’t very strong and is making horrible decisions because she thinks she’s finally gotten what she wanted and you have… A heroine who we’ve all been. Yes. I said that. We have all been that girl. The one who is STUPID because of a boy or a friend. The one who thinks that everything is going to work out if she just keeps riding it out. The one who believes something because SHE HAS TO because nothing else is good in her life right then. Amy is probably the most real heroine I’ve written in someways. But, I will give you this spoiler… Amy becomes one of the strongest girls I’ve written. In the end, she is who we all hope we have in us. She is strong and independent while still (finally) letting people in. She’s making decisions and doing the brave things. Amy takes the journey… the whole journey from COMPLETELY LOST to I AM WOMAN. I hope you’ll take it with her. I hope she gives you a moment or two to wonder where your own strength comes from.